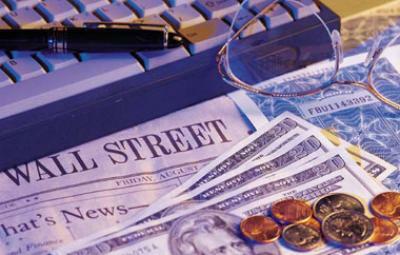 Smart investing is the key to financial success and proper asset allocation is a big part of smart investing. You have to properly allocate assets to develop an investment strategy that will help you achieve your goals with a good mix of asset allocation and diversification. That means having different types of investments, such as stocks and bonds, as well as having a mix of investments in different sectors or industries. Most people feel overwhelmed and stressed when it comes to make key investment decisions. One of the reasons for this anxiety is the lack of financial and investment education. If you have always wondered about the technical terms and acronyms surrounding your 401(k) and/or IRA investments, you are not alone. Millions of Americans ignore and fail to review their investment statements because they don’t understand them and don’t feel comfortable asking someone. One of the most common words or term that is overused in investment community is “diversification” or “Asset Allocation”. This article is intended to provide you with some baseline information on asset allocation that should make you a better investor as well as an informed consumer. The idea behind diversification is to spread your money among different investment options to reduce your overall risk. This way, if one investment option performs poorly, it only affects a portion of your total investments. For example, if you have $20,000 to invest you can either put all $20,000 in one class of investment such as equities or you can split $20,000 in various option such as equities, bonds, money market etc. If you have invested all of your money in equities, there are three things that could happen. One, you may have a great year and get double digits return on your investment. Two, you may lose all or part of money if market does not perform well and third, equity market remains unchanged and thus your return is minimal or zero. Most people would not mind with option one or third, but option two could be devastating. You only have one chance to build your retirement or investment portfolio and a big setback could take years or almost all of your investment life to recover. To avoid financial disaster, you need to diversified your investment and reduce overall risk. If one asset class doesn’t do well, you can still count on the other classes to keep you on the right track. How you allocate your assets across different investment classes is the key to diversification. That means having different types of investments, such as stocks and bonds, as well as having a mix of investments in different sectors or industries. Keep in mind that even if your risk tolerance is low, you can still consider diversifying into riskier investments. You just use asset allocation to keep the overall risk of your portfolio low. Now what are the different asset classes? There are many types of investments for you to choose from. Four asset classes-stock, real estate, bonds, and cash equivalents-may offer you a good basic mix. Here are some of the asset classes that you should know. Stocks (also known as equities) are units of ownership in a company. Companies sell stock to raise money. So when you buy stock in a company, you’re actually buying part of the company. There are different classes of stocks that a company can offer. For example, class A type common shares and class B type shares. Some of the classes give you voting rights to elect management as well as approve or disapprove various actions that company may be pursuing(such as takeover or buyout). If you’re a smaller investor, you probably don’t care about electing company officers but want a decent return on your investment. So pay closer attention to the class of share that you’re going to invest. Also, stocks generally carry more risk than other investments – you may hear them described as aggressive or dynamic investments. But their earnings have historically been higher over longer periods of time, so they may help your money grow faster. Stock investment can easily wipe out your retirement of investment portfolio if you don’t pick stocks carefully. When you think of investing in real estate, you probably imagine yourself buying a house or a piece of land. However, investing in real estate is different. You don’t have to be a millionaire to invest in real estate. You can invest in what is known as REIT(Real Estate Investment Trusts) or other real estate backed securities to get a piece of the action. When you invest in this type of investment, your money goes into developed, rent-producing commercial properties – properties that may be in another city or state. Historically, real estate investments don’t go up or down much in value. But other factors can make real estate nearly as risky as stocks. In recent times, property prices have gone up across the country making real estate as one of the top performing investment. In certain parts of the country such as southern California, home prices have see 20% to 30% gains in just one year. If you invested in REIT’s, chances are that you have earned a very good return on your investment but you always need to remember, higher the return, higher the risk and we are already seeing that in some parts of the country with tumbling home prices. Your earnings can be high or low, depending on changes in property values and expenses and other risks inherent in real estate, such as economic conditions. When you buy a bond, you are loaning your money to a company or some other organization. Bonds are usually exempted from local and state income taxes. Bond investment, in general, is considered more safe than equities. When a bond reaches its maturity date – the certificate can be redeemed for cash. Before a bond reaches its maturity date, its value can fluctuate based on interest rate movement in the marketplace. Bonds can be issued by companies, city and state governments, and the federal government to raise money. Bonds are rated by financial entities such as S&P and Moody’s to provide you with a risk assessment. Bonds with less risk are rated higher such as Aaa while bonds with higher risk are rated lower such as Bbb. Lower the bond rating(high risk), higher is the return on your investment. Remember, bonds are generally described as moderate investments so you only want to invest in high quality and high rating bonds to protect your principal. Conservative investments generally change less in value than others. These investments tend to have less risk, but also lower earnings. Conservative investments all work a little differently. For example, money market investments are like short-term bonds, meaning you are repaid for your loan within a short period of time. In other words, you can get to your money quickly. Money market mutual funds and Certificate of Deposits(CDs) are good example of this asset class. This is one of the safest investment and can also be used to provide with a steady income. If you’re very close to retirement or are already retired, this asset class may be good for you since you need quick access to your funds and you also need to protect your investment. Before you allocate your assets in the way that’s best suited to your current situation, you should consider the length of time you have to invest. If you aren’t going to need your retirement savings within the next few years, you may be able to accept more risks, looking ahead to greater potential return. You should also consider your risk tolerance. If you’re young and have a long way to go before retirement, you should considered aggressive asset class such as stocks or equities. But if you’re close to retirement or just can’t afford to lose your retirement funds, stick with a conservative asset allocation strategy.